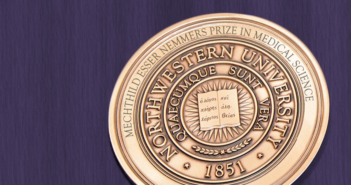 Northwestern University has established a $200,000 prize to be awarded to physician-scientists whose body of research exhibits outstanding achievement in their disciplines, the Mechthild Esser Nemmers Prize in Medical Science. A new $10.5 million gift from alumni Muneer Satter and Kristen Hertel will support Northwestern University Feinberg School of Medicine and School of Education and Social Policy. Northwestern Medicine scientists have developed a suite of interactive smartphone mini-apps designed to deliver treatment for depression and anxiety directly to a user. The majority of children who survive cancer in the U.S. face chronic health problems related to their treatment, according to a new Northwestern Medicine study. Male baldness clinical trials did not adequately report sexual dysfunction, which may persist long-term, according to a Northwestern Medicine meta-analysis of published reports of clinical trials of the drug finasteride. Martin Myers, MD, former professor and past chair of the Department of Pediatrics, spoke about the vaccine hesitancy and tools medical professionals can use to educate their patients. How Does A Long Time In Space Affect Human Health? Northwestern Medicine scientists are leading a research team that will study a pair of identical twins to determine how living in space for long durations affects the human body. A new study shows that teenagers who had previously been heavy users of marijuana performed worse on long-term memory tests than those who never used cannabis, and they had abnormally shaped hippocampuses. Robert Schleimer, PhD, chief of Division of Medicine Allergy-Immunology and Roy Patterson Professor of Medicine, has been named the winner of the Tripartite Legacy Faculty Prize in Translational Science and Education. A $10 million gift from Ronald and JoAnne Willens to Northwestern University’s International Institute for Nanotechnology will establish an interdisciplinary research center that will use advances in nanotechnology to develop new cancer treatments.